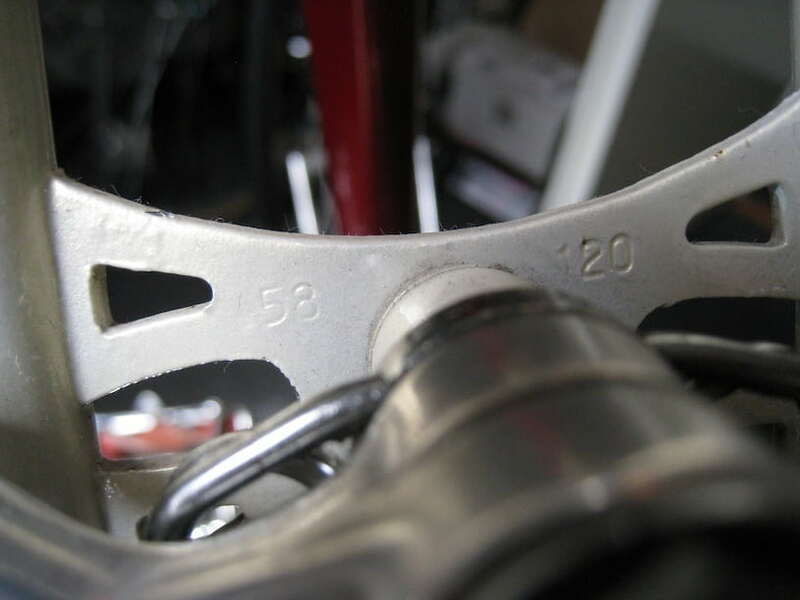 Gazelle Champion Mondials are measured center-to-top or c-t as it is commonly abbreviated. Center-to-top means that the frame is measured from the center of the bottom bracket, along the seat tube, to the very end of the seat tube. The pictures to the left show a size 58. 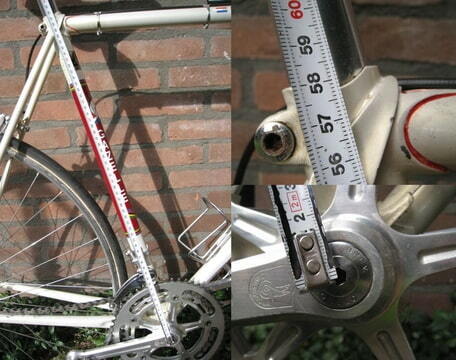 It stands to reason that the measurements are taken in centimeters, not inches, as cycling is a metric sport. 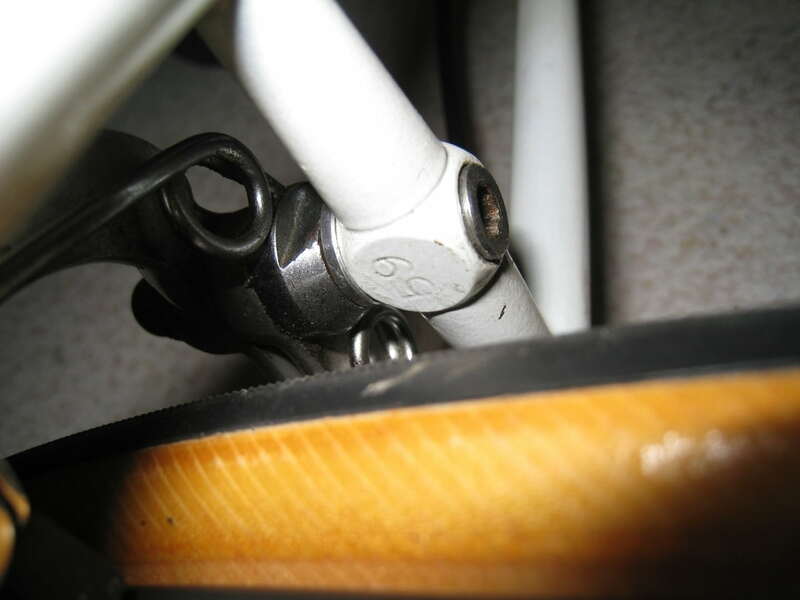 Later Champion Mondial road frames had this Cinelli-type rear brake bridge. The frame size is generally stamped on the underside of the bridge, only visible from below. Here a size 59. Contrary to most Italian frames, Gazelle's are not built 'square' (i.e. seat tube and top tube having the same c/c dimensions). Instead, up to four sizes use the same top tube length. The 1991 brochure has more information on frame dimensions. As far as I know sizing changed little over the entire period that the Champion Mondials were produced.